Andrew Kaip is managing director of mining equity research at BMO Capital Markets. Previously, he worked as a mining analyst at Haywood Securities, most recently covering gold and silver junior exploration and mining companies. Prior to that, he served as a project and consulting geologist for more than 10 years. Kaip received his Bachelor of Science in geology from Carleton University and his Master of Science in economic geology from the University of British Columbia and is a professional geologist. Andrew Kaip, managing director of mining equity research at BMO Capital Markets, does not expect near-term higher prices for gold or silver. However, due to continuing cost cutting and other efficiencies, he argues that the senior gold producers can now make profits above $1,100/oz gold. In this interview with The Gold Report, Kaip names two seniors as Sector Outperformers, and touts the virtues of a half-dozen undervalued near-term gold and silver producers. For this special report from the Cambridge House Silver Summit in Spokane, Washington, The Gold Report caught up with three silver investing experts: James Turk, chairman of GoldMoney; Andrew Kaip, vice president of Precious Metals & Mining at BMO Capital Markets; and Ian McAvity, a writer at Deliberations on World Markets. While the three didn't all agree on why silver acts the way it does, they all said that it belongs in some form in a diversified portfolio—but only for those who can handle volatility. "At $1,300/oz gold, the NPV5% of PVG's Brucejack is $2.59B post tax." "PVG's Brucejack expansion plans are tracking well." "WPM's Q4/18 EPS beat was attributable to lower costs and depletion." "For 2019, WPM is targeting 690 Koz gold equivalent." "PVG's catalysts include updated reserves and resources." 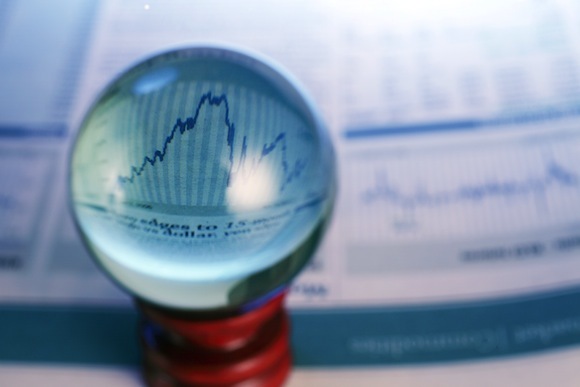 "WPM's sales and guidance for 2019 through 2023 were as expected." "PVG's Q4/18 adjusted EPS was $0.11, above our and consensus' estimate." "An asset like PVG's Brucejack underscores our Outperform rating." "PVG ended Q4/18 with over $45M in cash." "PVG repurchased the callable 8% gold and silver stream." "PVG received the amended permits to increase production at Brucejack." "WPM will make a cash outlay for all past taxation years of under $10M." "The deal with the CRA provides final resolution of WPM's tax appeal." "WPM exceeded our estimates on gold, silver and palladium deliveries, and management now expects to exceed the high end of its guidance range." "PVG's adjusted Q3/18 EPS came in at $0.14, above our estimate." "PVG's Q3/18 cash flow was well above our expectations." "PVG signed a commitment letter for a $480M debt facility." "Possible stream extension at Stillwater for WPM appears likely." "Canada tax court's decision is a positive in the short term for WPM." "PVG gave notice to buy back the 8% gold-silver stream at Brucejack." "WPM closed on its cobalt and gold-palladium stream acquisitions." "PVG had a Q2/18 adjusted EPS beat on higher sales and lower costs." "WPM announced a gold and palladium stream deal for $500M." "Per a site visit, mine development at PVG's Brucejack is tracking well." "PVG delivered strong Q2/18 production from its Brucejack mine." "For PVG, we are currently forecasting Q2/18 production of 91.5 Koz." "WPM took a tempered approach toward acquiring the cobalt stream." "WPM posted an in line Q1/18." "PVG's headline Q1/18 earnings were $0.04." "Moving to reserve grade in H2/18 is a primary objective for PVG." "PVG delivered Q1/18 production that was above our expectations." "PVG's Q4/17 operating and free cash flow were ahead of our estimates." "PVG continues to trade at a significant discount to the peer average." "PVG applied to increase production rates at Brucejack to 3.8 Ktpd." "In Q3/17, PVG reversed its negative working capital position." "WPM reported an in line Q3/17; adjusted EPS was $0.15." "Shares should react positively to the new PEA for MAG's Juanicipio." "PVG's Q3/17 Brucejack gold production solidly beat our estimate." "Overall gold recoveries at PVG's Brucejack are exceeding 95%." "We favor WPM on cash generation and liquidity." "We like the trajectory for the production at PVG's Brucejack." "WPM reported a slight beat in Q2/17 relative to expectations." "PVG's focus now is on troubleshooting in the plant at Brucejack." "PVG poured first gold at its Brucejack mine." "We are upgrading MAG to Outperform, taking advantage of recent share price weakness." "SLW paid down ~$130M in debt during Q1/17." 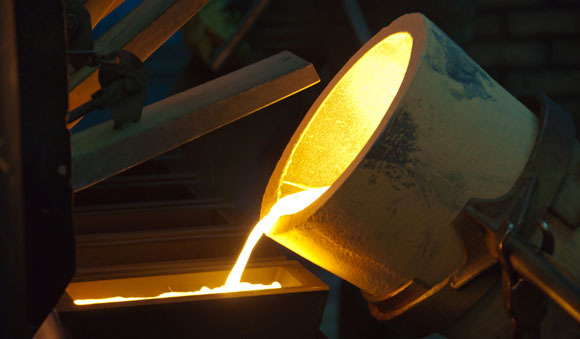 "PVG remains on track for production of gold in the coming weeks."